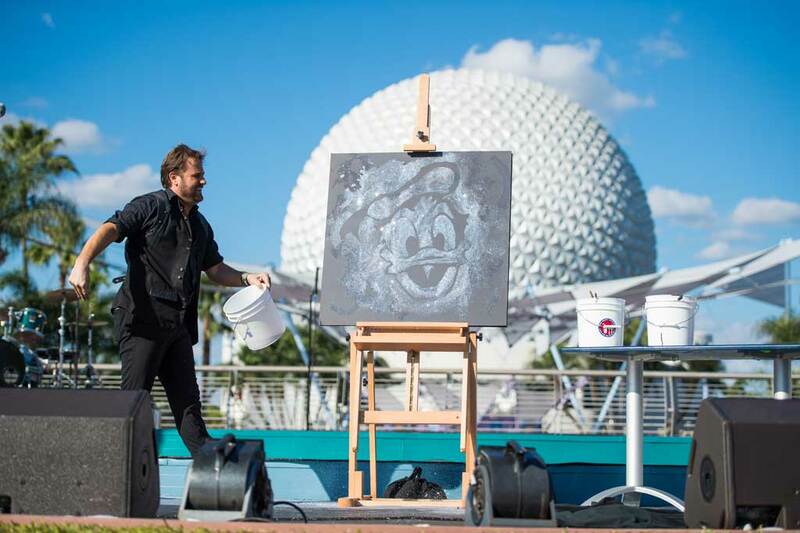 LAKE BUENA VISTA, Fla. – Expanding on its 2017 debut, the 2018 Epcot International Festival of the Arts at Walt Disney World Resort will present a daily, multifaceted celebration of art in many forms from Jan. 12-Feb. 19. Five new Food Studios will debut at the festival, giving park guests an expanded selection of creative and delicious new tastes to savor at a total of 13 Food Studios around the World Showcase promenade. The 2018 festival, growing from last year’s long-weekend event schedule, will expand to seven days a week, with the popular Disney on Broadway Concert Series returning Fridays through Mondays. Also back by popular demand will be the festival’s artful cuisine, exhibits, seminars, workshops, performance art and interactive fun ranging from innovative photo ops and hands-on mural painting to drawing and food-styling classes. 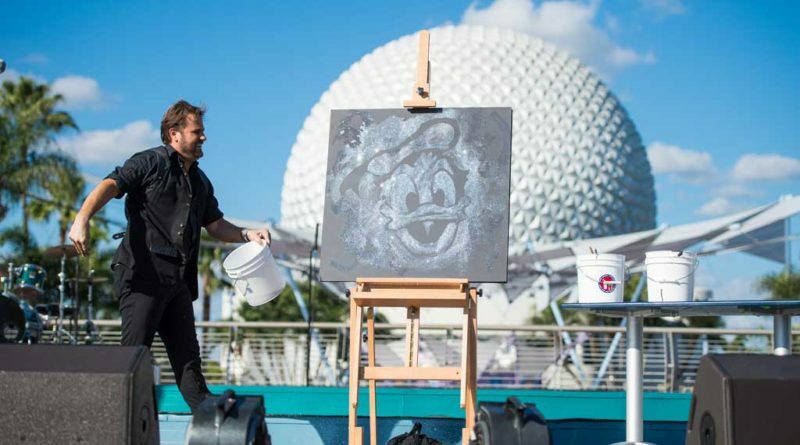 As Epcot guests will explore the world of talent surrounding them. They can tempt their palates with culinary work-of-art creations at the festival’s Food Studios. Enticing tastes at stops around the World Showcase promenade will include photo-worthy fan favorites like pan-seared scallops with chorizo and roasted red pepper coulis at The Artist’s Table; wild mushroom risotto from Masterpiece Kitchen; a trio of savory doughnuts from The Painter’s Palate; plus decadent dessert delights and beverage standouts like the Pomegranate Mule featuring Van Gogh Vodka. New Studios this year will be located at the following areas: France (“L’Art de la Cuisine Française” or “The Art of French Cooking”), Morocco (“Mosaic Canteen”), Japan (“Takumi Table”), Italy (“L’Arte di Mangiare” or “The Art of Eating”) and China (“The Painted Panda”). A complete list of Food Studios and menus are at The Culinary Arts: Food Studios. All Disney on Broadway shows are included in theme park admission and will take place Fridays through Mondays at 5:30, 6:45 and 8 p.m. Broadway fans can book dining packages that include guaranteed seating for one of the three evening shows. The Disney on Broadway Concert Series Dining Packages, available at five participating Epcot restaurants, can be booked now online at Disneyworld.com or by calling (407) WDW-DINE or (407) 939-7463. To book a seminar or workshop, guests can call (407) WDW-TOUR or visit the Odyssey Festival Showplace during the festival. 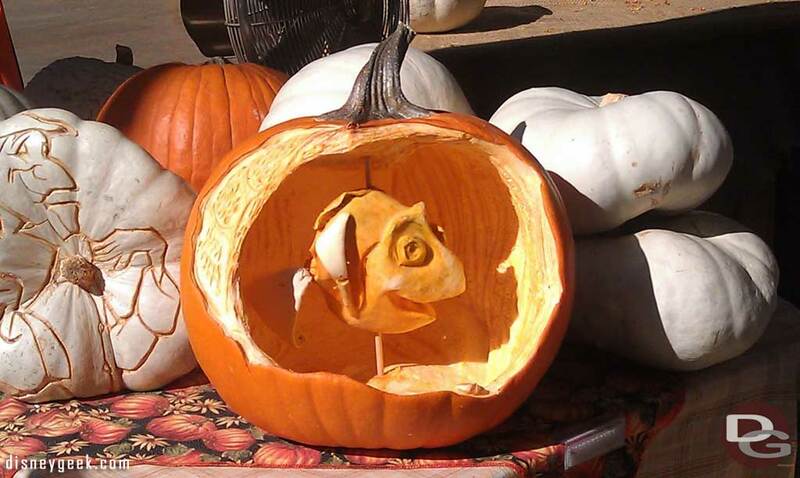 One last pumpkin before moving on.